At the mid-point of the sixteenth century, a Neapolitan gentleman, Federico Grisone, published, for the first time, a printed book about the art of training the horse “for the use of war” and on the secrets to “emend his defects”. The work was a huge and immediate success and was soon emulated by other authors. The new literary genre of equestrian treatises was thus born and its tradition, with ups and downs, became alive and remains vital up to this day. It is no coincidence that this first work was printed in Italy because, between the fifteenth and sixteenth century, it was in that country that a new culture of the court, in which horse riding had a key role was developed. During this time, Italian riding masters were sought out by the members of European courts. The scions of the European aristocracy ventured to Italy to perfect their skill in the art of riding with renowned masters. 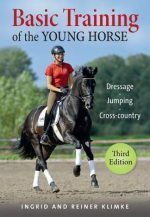 Following the thread of equestrian treatises, this book traces the history of Italian and European equitation, recounting the rich cultural implications, the evolution of the techniques, and the many connections with the great events of European history. It is a story full of characters surrounded by an aura of legendary skill, of disputes between opposing schools, and of memorable deeds. It is a story that goes from the sixteenth century up to the early twentieth century, when again an Italian, Federico Caprilli, revolutionized the riding world, creating the jumping technique still in use today. This volume is populated with rich color reproductions of paintings and frescos from the period and black and white illustrations from the surveyed texts. A fascinating read, belonging in any serious rider’s library. Giovanni Battista Tomassini works as a journalist in the field of politics for RAI, the Italian public television. Since the beginning of his career, he put research in the field of literature and history along side his work as a journalist. In addition to articles and essays in several journals, he published some books: Il racconto nel racconto (Rome, 1991), I treni delle meraviglie (Verona, 2001 and Rome, 2002) and edited the translation and the Italian edition of the Voyage dans les steppes d’Astrakhan et du Caucase by Jan Potocki (Milan 1996 and 1998). He is also author of the blog worksofchivalry.com dedicated to the equestrian culture and in particular to the tradition of the Italian Renaissance treatises.